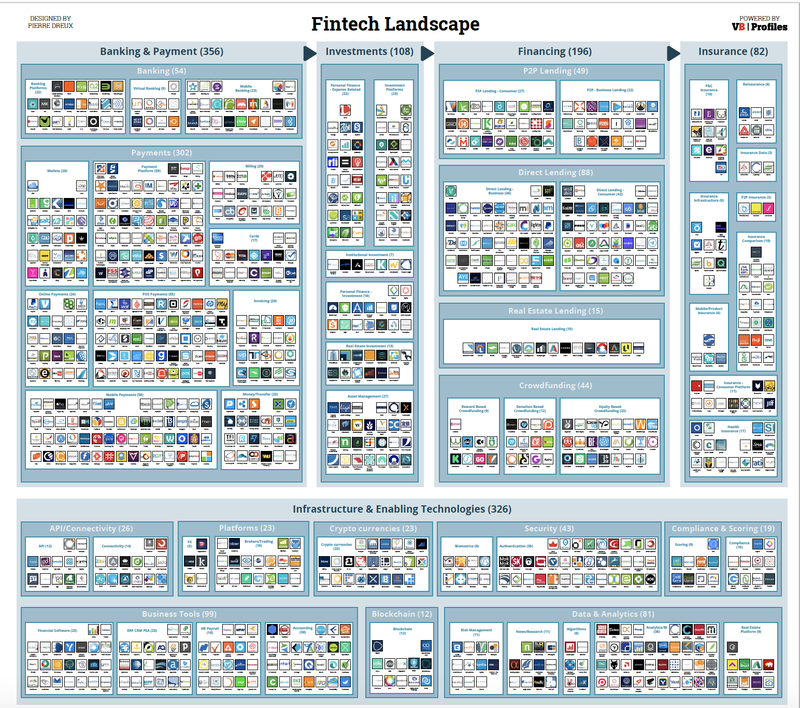 A very detailed map of the current fintech landscape, produced by VentureBeat, listing hundreds of companies in the banking, payments, investments, financing, insurance, infrastructure and enabling technologies verticals. Click here to view/download the full-size PDF version of the map in all its glorious detail. I find this area of great interest as FINTECH is going to play a big role in financial services in the future. FINTECH will play a major role 9n financial services in the future just like the how the establishment 0f the printing did in the 1600. Iberiabank has selected nCino’s cloud-based Bank Operating System to process services across several lines of business, including commercial and SME lending and treasury management. UK-based Capital Home Loans (CHL) has signed a five-year deal with Phoebus Software for its mortgage servicing solution. AsiaKredit, a Southeast Asia digital consumer lender, has unveiled pera247 in the Philippines – its data-driven consumer lending platform mobile app. Mediterranean Bank in Malta has replaced its legacy lending solution with Infosys’ Finacle. US peer-to-peer (P2P) lending firm Prosper has landed $50 million in a Series G funding round. The capital comes from Hong Kong-based FinEx Asia and LPG Capital and raises the San Francisco-based company’s total equity funding to $410 million. Utah-based FinWise Bank, a subsidiary of All West Bancorp, has partnered with alternative small business lender Behalf.